If recent reports are accurate, electric car startup Faraday Future recently netted a $1 billion investment and, in turn, named Chinese tech entrepreneur Jia Yueting its CEO. But by the end of 2017, Jia needs to return to China to sort out a mountain of debt his other companies have accrued, according to Reuters. Beyond the constant financial woes that have plagued Faraday Future throughout 2017, Jia has faced enormous scrutiny over the massive debt linked to his main venture, LeEco. Just this month, the Chinese government placed Jia on an official “debt blacklist” over unpaid debt to some of LeEco’s creditors. Now, the China Securities Regulatory Commission, which oversees publicly-owned entities in the country, wants Jia to return to China by Dec. 31 to “fulfill his obligation” with regards to the debt, reports Reuters. LeEco, an entertainment, electronics and electric vehicles group founded by Jia, has struggled to pay its debts after rapid expansion into multiple sectors sparked a cash crunch, a plunge in the shares of a listed unit and led to multiple defaults. The watchdog said it had previously asked Jia to return to China in September, but since then had not seen any action taken by the LeEco founder to comply. It did not specify where Jia was, although he has business interests in the United States. 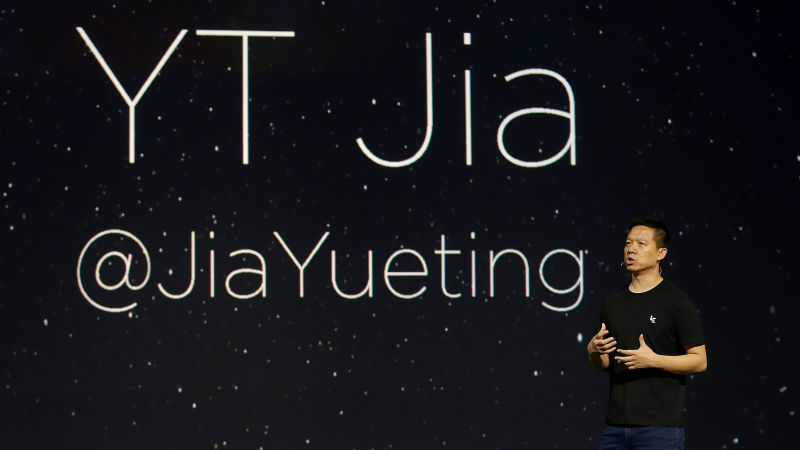 A spokesperson for LeEco told Reuters that Jia’s money problems won’t affect the company. It’s unclear if it’ll have any impact on Faraday Future. After months of being publicly open about its efforts to court $1 billion in new financing for the startup, Faraday has remained mum about reports that Jia secured that amount in a recent round of fundraising. “We will not comment on company financials or our investors,” a Faraday spokesperson told Jalopnik last week. We reached out to Faraday’s spokesperson for additional comment on the China Securities Regulatory Commission order for Jia to return to China. We’ll update the post if we hear back.